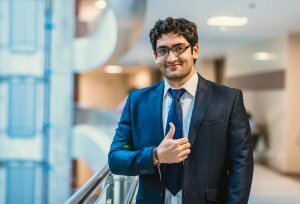 Top MBA Colleges in India 2019: India is a famous destination for pursuing higher studies. There are many educational institutions in India that offer management courses. India owns many top MBA colleges including IIMs, Xavier School of Management, Indian Institute of Foreign Trade (IIFT) and many more. The literacy rate in India is 74%. In our article, we are describing the complete admission process of MBA Admission in India. MBA admission in India top colleges like IIMs is done through entrance test namely Common Admission Test (CAT). Various management colleges of India accepts scorecard of MAT for providing admissions. After passing the exam, candidates are required to appear the group discussion and personal interview conducted by the respective colleges. There are many national level and state level entrance examination that are conducted to grant admissions to the MBA programme. For admission to IIMs, candidates can appear the Common Admission Test (CAT). In India, MBA admission will also done through MAT(MANAGEMENT APPTITUDE TEST), XAT (Xavier Aptitude Test), CAT (Common Management Admission Test), SNAP (Symbiosis National Aptitude Test), ATMA (AIMS Test for Management Admissions), etc. There are many state level entrance examination for MBA admission such as MAH CET, RMAT (Rajasthan Management Aptitude Test, TANCET (Tamil Nadu Common Entrance Test), UPSEE (Uttar Pradesh State Entrance Exam) and many more. In India, there many prestigious management institutions which are famous all around the world. The Top management college in India is the Indian Institute of Management (IIMs), Xavier School of Management, Indian Institute of Science (IISc) and many more. Candidates should have a graduation degree passed from the recognized institution. In graduation, students must have 50% marks (for general categories) and 45% marks (for reserved categories). After clearing the entrance examination, students need to attend the counseling process conducted by the respective authorities. It is necessary for the candidates to attend the counseling round as choice for the colleges and specializations will be filled at the time of counseling only. Candidates will get the seat as per their rank in the entrance test and on the basis of choice preferences. After seat allotment, students need to report to the assigned college for seat confirmation. Admission in MBA without entrance like CAT, XAT is also offered by some of the top MBA colleges like XIMB with their own entrance tests. If you have any question regarding MBA Admission in India, leave your comments below.